HATING my ISP right now!!! Long time, no post; thanks to my CRAPPY internet service provider. Hoping I can make it through an entire post today! 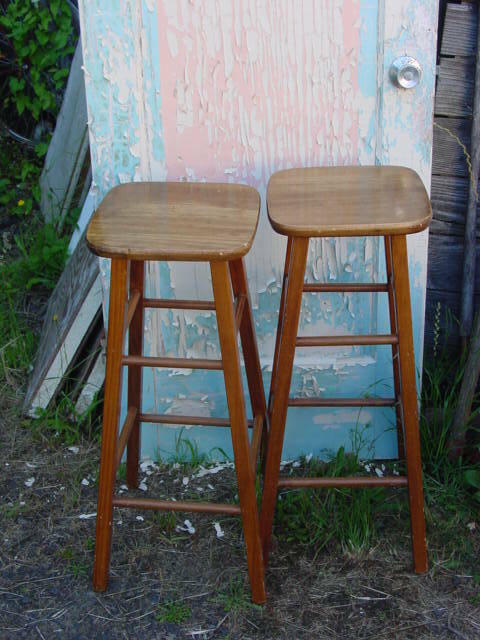 Couple of wood bar stools I got at a recent rummage sale. The legs were VERY wobbly (so they were very cheap!!) 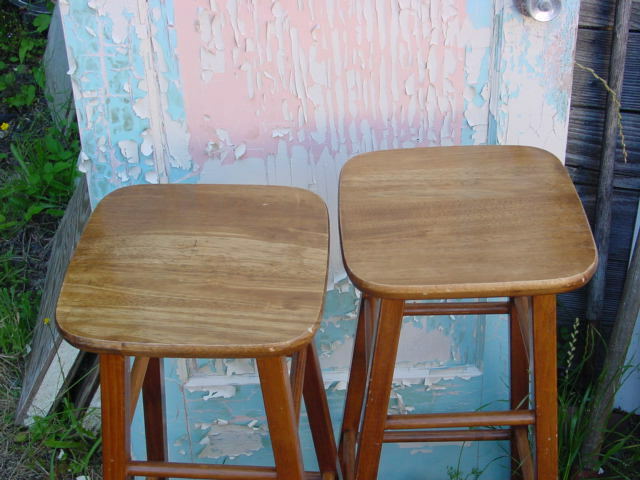 but I easily fixed them by taking the seat off, filling all the leg holes with some tacky glue and re-attaching the seat and tapping it on firmly with a mallet. 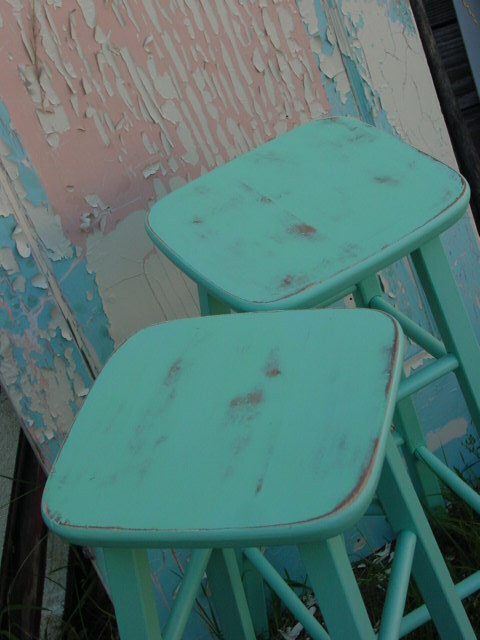 The seats were pretty scratched up, so I gave them a good sanding before I painted. Painted them up and distressed the seats a bit. Haven’t decided if I want to paint any kind of design on the seats or not??? Was considering big numbers, but kind of feel like those are a bit OVER done these days. Maybe it’s time to think of something NEW. What do you think? Do you still like the big numbers painted on furniture? Or are you kind of getting tired of seeing them every where? ?